The Tissue Engineering & Regenerative Medicine International Society (TERMIS) is the world’s leading non-profit forum for academic and industrial developments within the fields of tissue engineering and regenerative medicine (TERM). The society brings together leading academics, industry experts and young investigators from across the TERM fields. Through regular conferences, publications and other forms of communication and activities, TERMIS promotes education, research and commercialisation and serves as an international forum for discussing the challenges, applications and therapeutic benefits of TERM technologies. 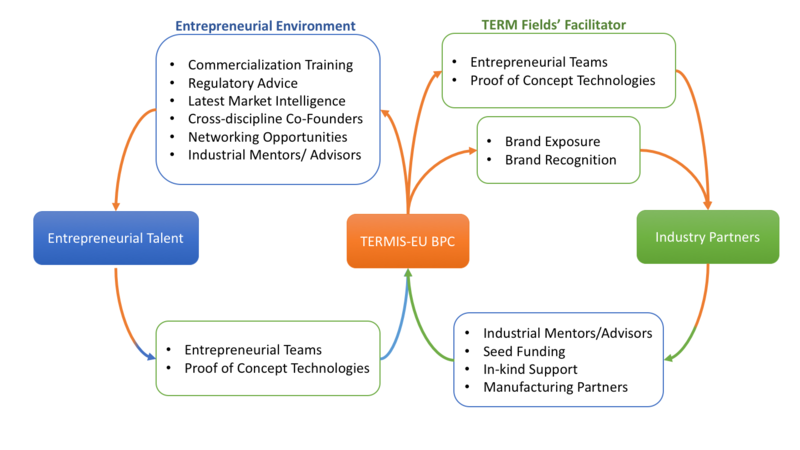 Through TERMIS-EU BPC & PAP, we aim to inspire and equip innovative early career researchers in TERM fields and accelerate the translation of their life-changing ideas from bench to market. Every year we organise two programmes. The Pre-Accelerator Programme (PAP) is a free online webinar series giving training to anyone interested in commercialisation of TERM products and services. The Business Plan Competition (BPC) is a competition and mentorship programme, aiding young investigators with a business idea in the commercialisation of their products. Sign up to our newsletter for informative monthly updates.